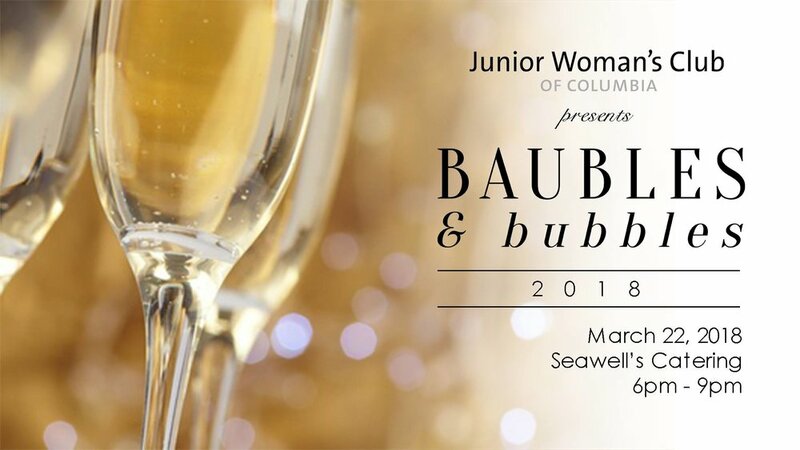 The members of the Junior Woman’s Club of Columbia will present the annual Baubles & Bubbles ladies' night out gala benefitting Palmetto Place Children’s Shelter! The Junior Woman's Club of Columbia not only founded the shelter more than 40 years ago but has been feverishly dedicated to supporting the shelter every year in its operations. Each child that passes through the doors of Palmetto Place, whether for a short time or a longer period of time receives love and support from their staff. We invite you to become a part of our event to support the shelter and the children who truly need and benefit from the safety the shelter provides. See the highlights of our event here! Tickets are $40 each.